Yes, you read that right! 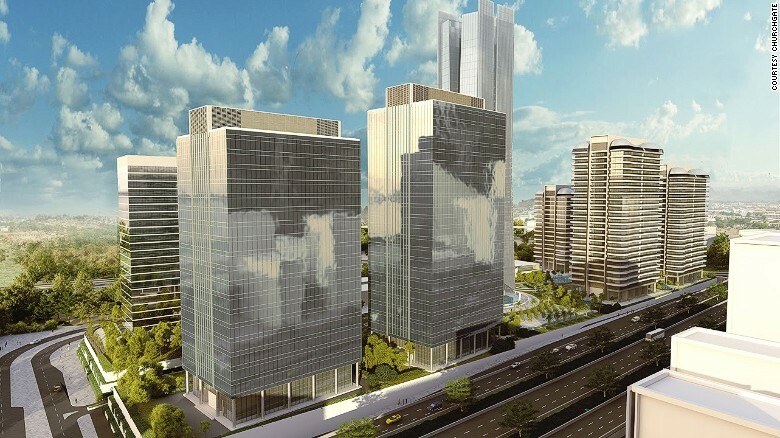 You can actually make up to 50K in Nigeria with zero risks and no investment at all. This method of making cool money in Nigeria has been around for a while and some of you reading this post might have come across it online before but still doubting if it’s legitimate or not because of MMM that scam most Nigeria in 2017. Well, just as I said earlier it requires no investment and it’s not anything related to MMM or any kind of Ponzi scheme. It’s legitimate because it requires some little task from you. To succeed and make cool money you will need an Android phone/iOS or anything that can access the internet and you will also need an email address with your full name. You must have seen people sharing some post that has NNU attach to it. Yes, it’s what you are thinking about, this post is all about NNU, an online money making platform in Nigeria where young Nigerians are silently making lot’s of money every month without moving an inch from the comfort of their home. The online platform has been there and some are still afraid of joining the platform while others don’t believe it’s legitimate. In this article, I will show you how to make up to 30k-50k on NNU and also show you how to cash out when you reach the withdrawal threshold. 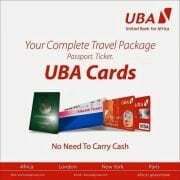 NNU Income Program is an initiative conjoined with Nigeria New Update platform, nnu.ng. A program with a mission of dealing with financial problems in Nigeria among the youths, students, middle class and whoever that wish to take advantage of earning an opportunity and making money online legitimately as it creates the channel for the participant to earn passive income on monthly basis. NNU pays you in two ways and the first is NARS which involves daily bonus for login, reading news, comments, posting forum topics and sharing a sponsored post on social media. Another method is the affiliate program. With NNU affiliate program you will earn 62.5% per referral on anyone who joins NNU income through your referral link and gets approved. 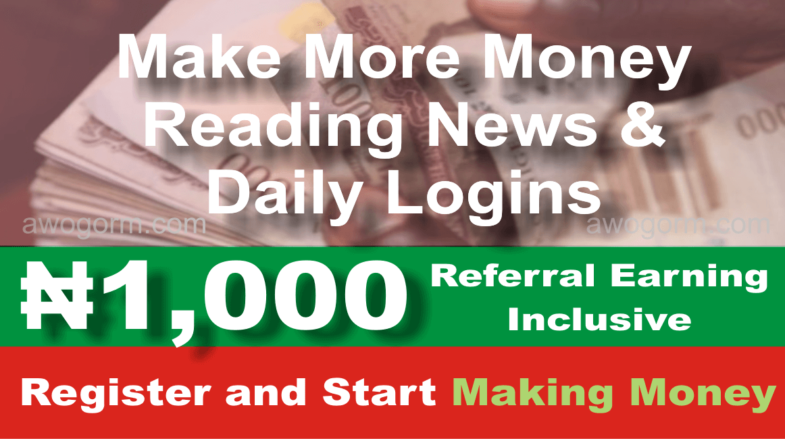 Now when you introduced your friends and they joined NNU with your affiliate link you will instantly earn 1000 Naira. This means if you invite 30 of your friends to NNU, you will instantly make up to 30k. Sound too good to be true right? Even without inviting your friends you can still be making lot’s of money through reading news, sharing sponsored post and comments. 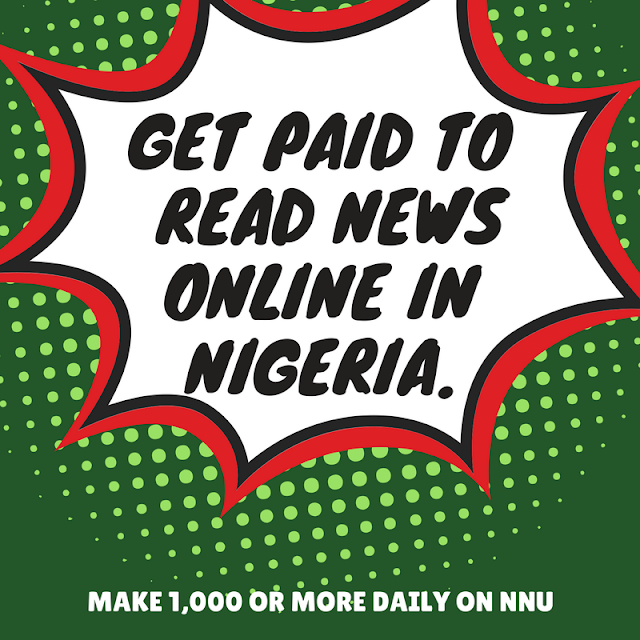 The one and only method you can use to earn on NNU is through reading news. 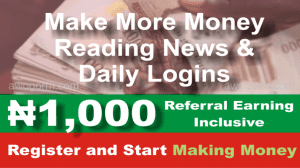 Every single post with time on the front page of NNU you click, you will earn N2. Imagine clicking 500 posts on NNU every day which gives you N1000. And remember, you will also earn N50 when you log in and earn N100 when you share any sponsored post for the day. Remember the sponsored post you are sharing most be for that day, and the news you are reading or clicking most be for that day also. If you share yesterday post or read yesterday news, you won’t get paid. So make sure you read the time and date before sharing or clicking any post on NNU. Why so many people are still afraid of joining NNU is because of the registration fee which is N1600 only. To me, the registration fee is too small and remember, the person that invites you will make N1000, which means only N600 goes to NNU and you can also recover the money in one day if you manage to invite your friends and they joined with your affiliate link. To register and join NNU, visit their website Here. Make sure you enter your correct email address and your full name and after that, you can make payment of N1600 either through Pay-stack online payment with your card or Bank for instant approval or you can pay with Coupon code. I recommend paying with a Coupon code and to get your Coupon code you can contact the Coupon code distributors found on NNU website. After your payment and the account is approved you are now fully a member of NNU and you can start making money immediately by reading news, and by sharing the sponsored post. The minimum payout is N5000 and to get paid you will need to fill the payment form which is very simple to fill. Note: I have seen people complaining that NNU is no longer paying, the reasons why such people have not been paid is because they didn’t follow the instructions sent on their email address when they demanded payment. Make sure you use to share the sponsored post on your Facebook or Twitter before clicking to earn because they will check for the post on your social timeline before they pay you. Lastly, make sure you invite at least 2 of your friends which will give you N2000 commission before requesting for payment. If you follow the above instructions accordingly you will surely get paid for your earning. That’s all for now, use the comment box if you have any questions to ask and also share this with your friends on Facebook, WhatsApp, and Twitter. Oukitel Customer Care Number And Contact Details. 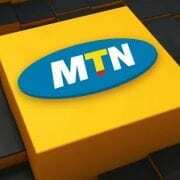 Best Business You Can Start With 1M, 2M, 3M, 5M, & 10m In Nigeria.